Your search for the perfect gym bag ends here as we are proud to introduce our Fit Girl Backpack! 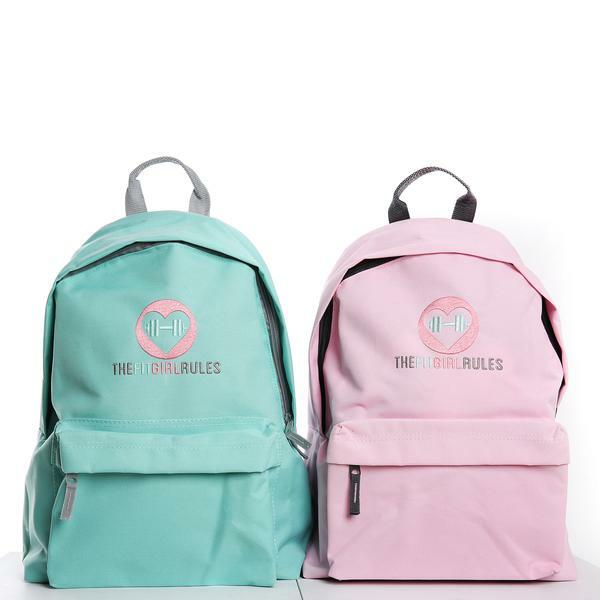 Featuring a large zippered front pocket, these gym backpacks for women are ideal for carrying your essentials to and from the gym. Use the backpack bags to carry your workout log, your towels, water bottles, shaker bottles, an extra change of clothes or whatever it is you need to bring along to the gym. The shoulder straps and the back panel have both been padded for added comfort and the grab handle allows you to quickly grab the bag and go.